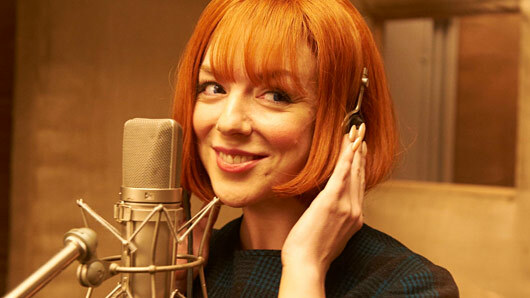 A new musical based on the ITV drama Cilla, which told the story of the late Cilla Black, will open in Liverpool later this year. The drama originally aired in 2014 and starred Sheridan Smith in the lead role, for which she was highly commended by critics. The musical will be adapted from the drama series by Jeff Pope, who wrote the original script. According to Cilla Black’s son, Robert Willis, Black was “excited” about the possibility of creating a musical about her life and “surprised” by the success of the TV series. He told the Daily Mail: “Once the show had gone out on television, we talked to her about the possibility of doing a stage version. “Jeff, who hadn’t written a book for a musical before, and myself went about looking at musicals, and we visited Liverpool and the Cavern. We had a lot of fun; and my mother was excited about it — though the success of the drama surprised her a bit. Initially, she couldn’t understand why anybody would be that interested. “When there was such a great reaction to Sheridan [Smith] and the drama — and therefore to her — she was touched. She felt in her heart of hearts that she was a pop singer, and so despite how important TV was to her, she really felt that the drama highlighted her passion for singing. Black’s unfortunate death in August 2015 put plans for the Cilla musical on hold, however. Nevertheless, Willis realised that to create the musical would be a way of creating a “living memorial” to his mother. He said: “When she died, naturally, all the plans went on hold. Now the dust has started to settle, we had to make a choice: is this something that we let go? Or continue with. “We, all of us, felt it would be a sort of living memorial to her. Jeff had already written the script. It was something that would entertain and resonate. So we should go for it. Cilla: The Musical will open at Liverpool Empire on September 7 before embarking on a tour of the UK.